The Lower California Rice Rat, also known by its scientific name, Oryzomys peninsulae, is a rodent species from western Mexico. 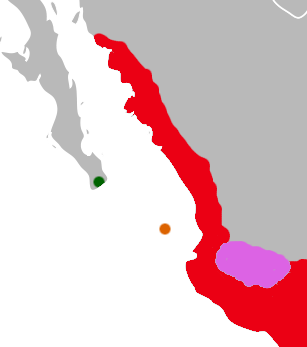 Its known distribution range is restricted to the southern tip of the Baja California Peninsula. 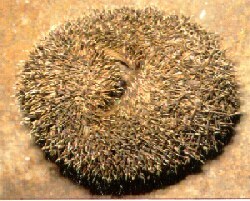 Only 21 individual specimens have been collected around 1900. Any kind of destruction in its riverine habitat may have driven the Lower California Rice Rat to extinction. At present, the IUCN lists this rodent as being Critically Endangered to Extinct due to the lack of knowledge of this animal. 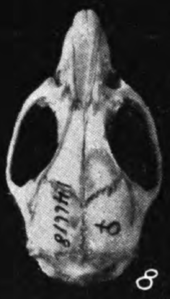 As mentioned above, only 21 specimens of the Lower California Rice Rat are known. 6 of these were caught in 1896 at Santa Anita by D. Coolidge. Edward Alphonso Goldman and Edward William Nelson caught 15 individuals at San Jose del Cabo in 1906. These two locations are only 8 miles or 13 kilometres apart. All specimens were caught along the river, Rio San Jose, in Baja California Sur which is near the southern tip of the peninsula. Like its other relatives in the genus Oryzomys, it is a semi-aquatic species which spends much of its time in the water. However, suitable habitats for this rodent would cover only 5 square miles or 13 square kilometres in this arid region of the Baja California Peninsula. One of the reasons why Scientists believe it may be extinct is because Rio San Jose unfortunately does not exist any more. This area is filled with tourism and has many irrigation projects which has resulted in pollution. In fact, Biologists who worked in this area in 1979 as well as 1991 – 1993 failed to find any live specimens of the Lower California Rice Rat. In addition, as there have not been any records for over 100 years, its small distribution, as well as the destruction of its only known habitat leads to the conservation status as being almost extinct. What Researchers do know is that that the Lower California Rice Rat is medium-sized. Measurements of the specimens found had an average total length of 266 cm. 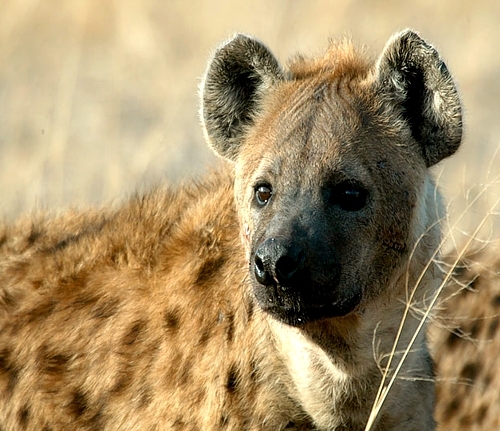 It has distinctive grayish brown fur on its forequarters, and its hindquarters are reddish brown. This colour pattern is unique even amongst western Mexican rice rats. Its underparts are a dirty white, while its feet are white. Its tail is dark above and a dirty white below.